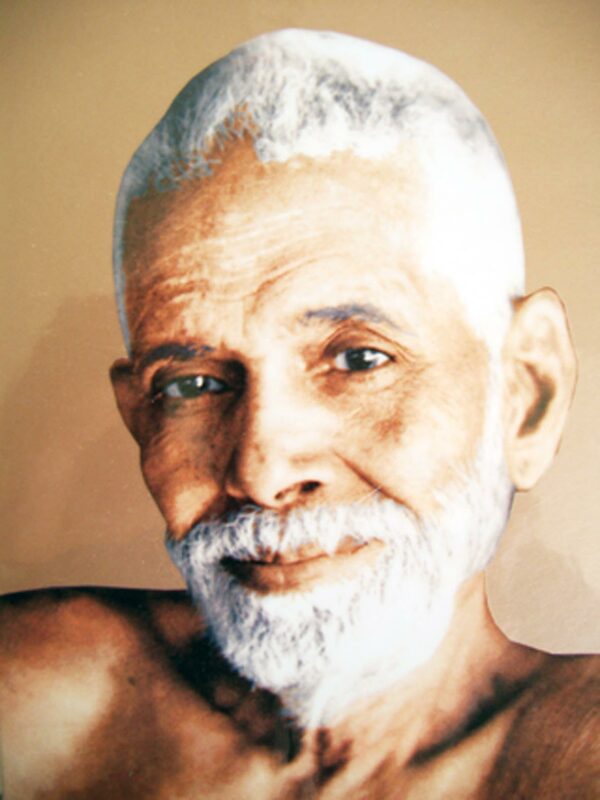 When asked what is happiness, Ramana Maharshi replied, “Happiness is the very nature of the Self; happiness and the Self are not different. There is no happiness in any object of the world. We imagine through our ignorance that we derive happiness from objects. When the mind goes out, it experiences misery. In truth, when its desires are fulfilled, it returns to its own place and enjoys the happiness that is the Self”. “Similarly, in the states of sleep, the mind becomes inward-turned, and enjoys pure Self-Happiness. Thus the mind moves without rest alternately going out of the Self and returning to it. Under the tree the shade is pleasant; out in the open the heat is scorching. A person who has been going about in the sun feels cool when he reaches the shade. Someone who keeps on going from the shade into the sun and then back into the shade is a fool. A wise man stays permanently in the shade. Similarly, the mind of the one who knows the truth does not leave Brahman. The mind of the ignorant, on the contrary, revolves in the world, feeling miserable, and for a little time returns to Brahman to experience happiness. In fact, what is called the world is only thought. When the world disappears, i.e. when there is no thought, the mind experiences happiness; and when the world appears, it goes through misery”. When we read the wisdom above, we can clearly see the greatest trickery of the mind. When we stand out in the hot sun for a long while and then step into an air-conditioned room, we can feel the coolness of the room. If we had been in the air-conditioned room all along, we may not notice the coolness of the room after a while. Being in the hot sun does not add to our enjoyment of the room but we merely felt relief from stepping out of the sun. We mistake that relief for happiness. When we are craving for something, our mind is completely occupied with thoughts of getting the desired object. We keep thinking about the beauty of the desired object and worry about not getting it. Our mind is burdened with thoughts of the object. When we eventually get the object, we suddenly feel relieved because the thoughts are temporarily removed and we can remain silent for a while to be present with the object…until we shift our mind to another desired object. In the space when our mind shifts from one desired object to another, there is a moment of silence. It is similar to when we are driving and need to make a turn at a junction. We first need to stop the car or at least slow down substantially before making the turn. Worry is the same thing. The only difference is that we are filled with fearful thoughts of losing the desired object. Once the fear is resolved, there is temporarily relief from those fearful thoughts…until our mind creates another thing for us to worry about. Worrying can become a bad habit if we do not see it for what it truly is; mental pictures of the worse case scenario; most of which will never happen, at least not in the extreme way which we pictured it. Therefore, a wise person will not wait for the thoughts to disappear because he knows that he can enjoy staying in his Higher Self which is by nature Happiness. When we remain in the silent gap between thoughts, there is a feeling of relief; as if we have put down a heavy luggage which we have been carrying for a long time. Staying in the silent gap between thoughts is a useful habit to develop because we can then stop depending on the external world to slip into the Higher Self whenever we obtain the object desired.